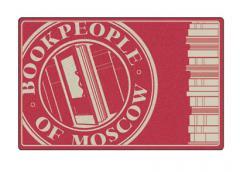 Home » Blogs » bookpeopleofmoscow's blog » No foolin', it's spring! The last time I wrote here it was the New Year, and now it is April 1. What has been keeping me away? In January, I attended the American Booksellers Association annual Winter Institute (WI), a workfest of education sessions, author events, and ongoing conversations about important book publishing and retail industry issues. After WI was over I attended the Pacific Northwest Booksellers Association (PNBA) board retreat. I'm proud to chair the awards committee and to serve as VP of PNBA with president Shawn Donley, head buyer at Powell's. These events and organizations are important to me personally (it's a great group of people to have as colleagues and friends) but also to all the communities in which we booksellers live, serve, and work. This spring so far we've also managed to get the taxes done for 2015, hold our first-ever bookfair in Troy, do inventory, host NYT bestselling author CJ Box, and get Sherman Alexie on the calendar for July. Not bad, eh?! In the meantime, we are looking forward to the book launch for Corinna Nicolaou's book, A None's Story, next week. Please join us!